An intent of this blog is to bring two polarizing ideas, anime and Christian spirituality, together. Of course, it’s not surprising that these two topics have little surface relationship to each other, as Japan has only a small Christian population. That said, I think it’s worth exploring the convergence of Christianity and Japanese society, religion and culture. My name is Anne, and I’ll be guest writing here at Beneath the Tangles. I’m currently a missionary in Tochigi Prefecture, Japan. 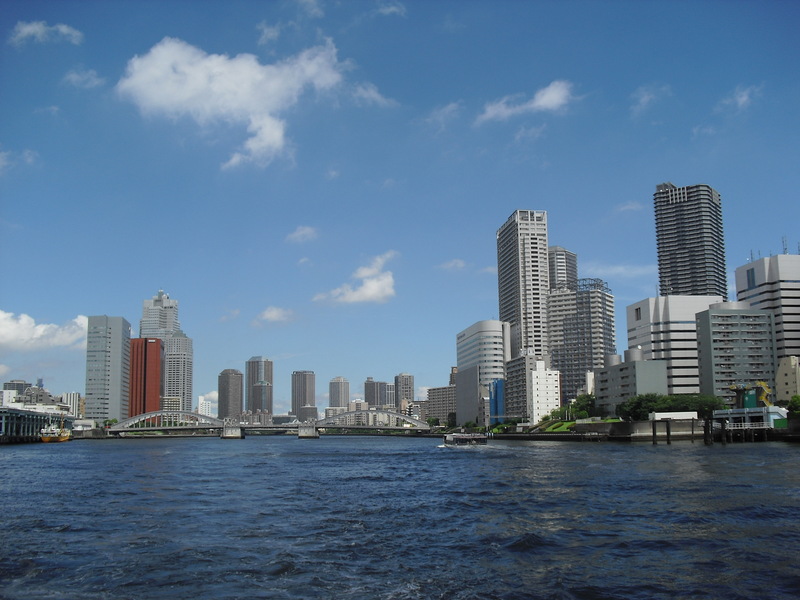 I came to Japan in July, 2010, and I’ll be staying until March, 2012. I’ll be writing about my experiences here in Japan, about Japanese culture and religion, and about the challenges and passions of a 20-something European American woman living in the Japanese countryside. If you have any questions, feel free to ask; I’d be happy to answer them. You can talk about numbers all you like, but reality still feels like licking a battery: you expect to be shocked, but the experience is still jarring. I still remember vividly the first time I saw Tokyo in person. I was 21 years old. I’d just gotten off the 11-hour flight from San Francisco to Narita International, and the air hitting my eyes felt like sandpaper. All I wanted to do was find a cozy corner to curl up in for a few hours. I fought to stay awake as I bought the ticket for my two-and-a-half-hour bus ride north. Boarding the bus, I found myself seated behind a girl who’d been picked up by her grandparents, and as she excitedly told them about her trip, I realized my Japanese skills were nowhere near the level I’d thought they were. The first fifteen minutes from Narita were an experience all their own. On either side of the highway, lush green plants flourished. For a New Mexican desert girl like me, it was an entirely different world. Then, we hit city. 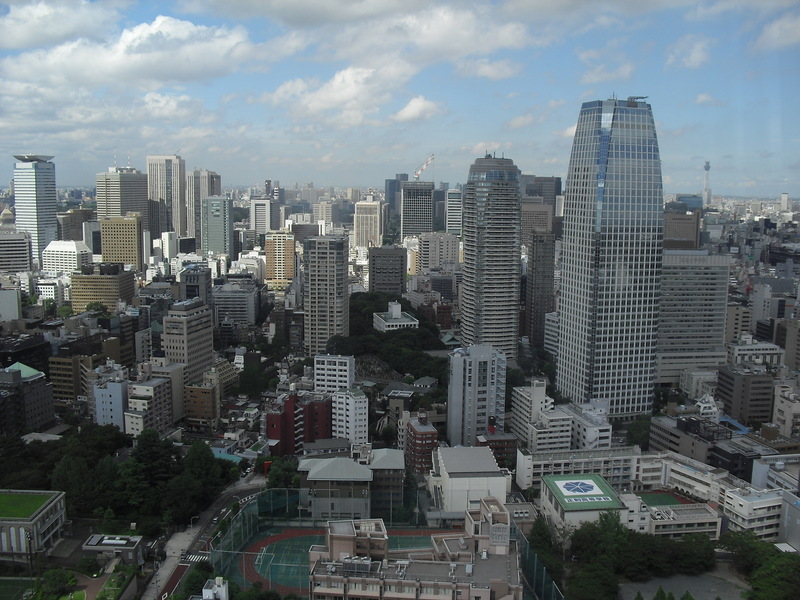 It doesn’t matter how many pictures and videos of Tokyo you’ve seen; you have to be there to fully grasp the sheer size and scope of the largest city in the world. Just driving through was impressive. Twenty-story apartment buildings less than 200 feet apart from each other stretched off into the distance. Houses crowded together, separated only by tiny alleys barely the width of one lane on an American road. The traffic was so thick that I saw drivers reading manga, playing video games, even watching TV in their own cars while they waited to move. I saw small Buddhist temples quite often, and behind them, small crowded graveyards. There were no small plots of land; like the buildings, the monuments for the dead were packed as densely as possible. That was the day I began to grasp the immense magnitude of 13 million. As we drove past mile after mile of tightly packed residences, fitting together like pieces of a chaotic 3-D puzzle, I was utterly overwhelmed, thinking of the sheer numbers of people who lived in them. So many millions, and less than 1% of all these know God, yet somehow He knows and loves them all. I felt utterly overwhelmed. Like Moses, I found myself asking God, “How can I even speak to these people? What good can I possibly do?” But God calls each of us to a purpose that we may not comprehend, and that purpose may be insurmountable, but it’s totally worth it. I wouldn’t get to walk around in Tokyo until I returned to Japan over a year later; my ministry is two hours north of Tokyo. But the one day I’ve gotten to spend there was incredible. I felt like I could explore that city for years. And who knows? Maybe I will. 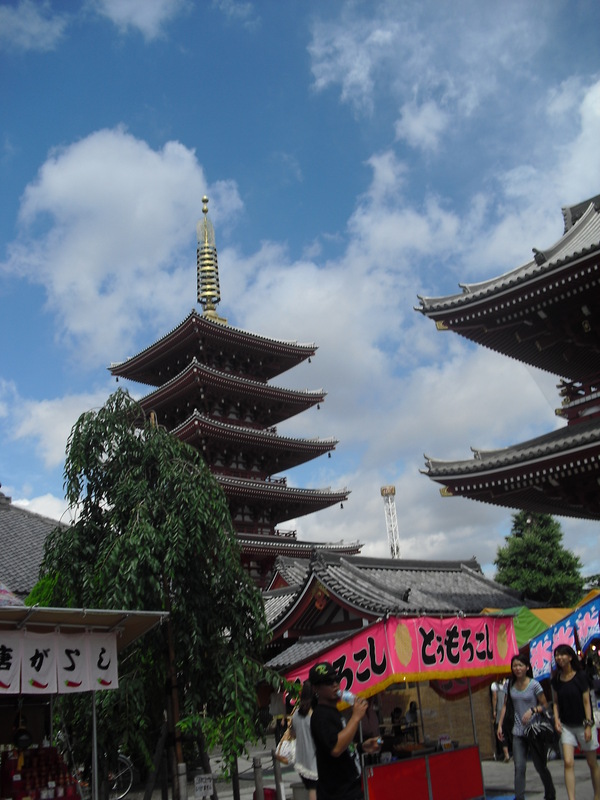 This spot in Asakusa, one of Tokyo's 23 wards, is a favorite spot for tourists and Japanese alike. 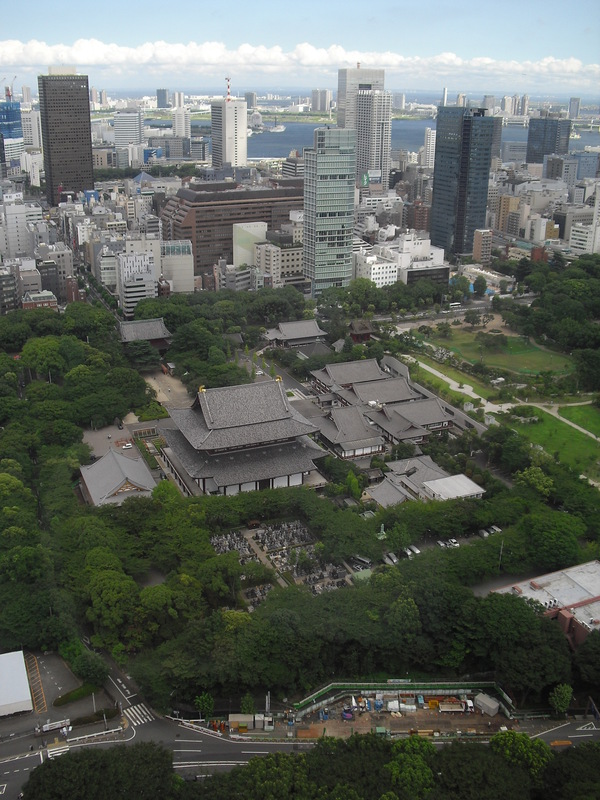 From Tokyo tower, there is only city as far as the eye can see. 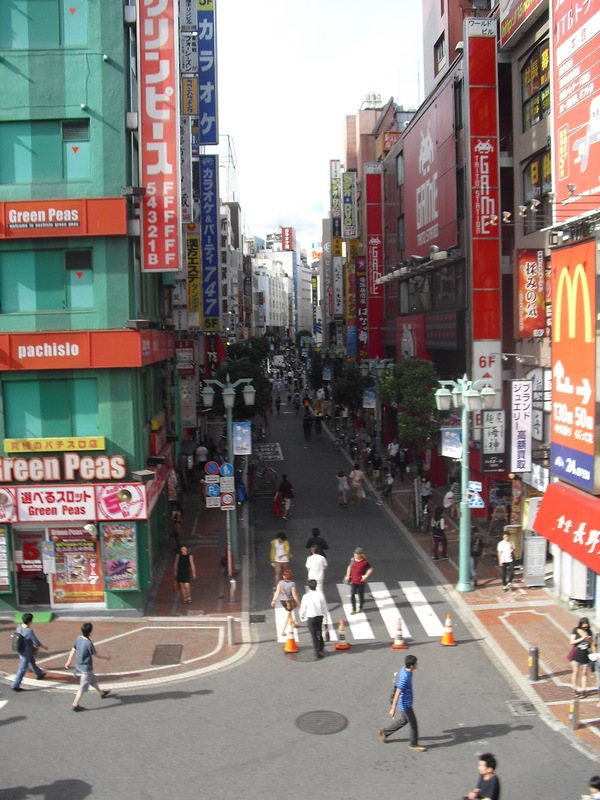 This is a popular shopping spot in Shinjuku, one of Tokyo's 23 wards. Previous Post Do You Love Me Enough to Let Me Go?